You’ve made the right decision to have some composite decking installed in your garden, but what colour do you choose? Websites such as https://www.dinodecking.co.uk/ offer up to 8 different colours, but what is the right shade for you? What colours do you have in and around your home? Is there a group of colours that you use? Whether you use natural colours, neutral colours or bright colours, you’ll find there’s something suitable for your taste. Think about how each of the above colours would look in your garden. Does each colour complement your garden or does it match? Composite decking that complements or matches your garden will look good. Consider where you’re going to put your decking. Will it be in the sun for a long time? If it’s going to be in direct sunlight you may want to opt for a lighter colour. This is because lighter colours tend to reflect the sun’s heat. Darker colours will absorb the sun’s heat and, therefore, make your decking quite warm. If you think you or someone else may walk on the decking in their bare feet it may be worth your while opting for a lighter shade. If you really want to have dark decking in your garden then you should consider putting up a sun umbrella so you have some shade. If you’re going to install your decking in a shady area of your garden you won’t need to worry about the sun quite so much. What colours will be surrounding your new composite decking? Is there a white wall nearby that could complement or clash with your desired colour? Are there lots of trees or plants nearby? Trees, walls, plants, fences, flowers and even pathways could affect what colour decking you choose. 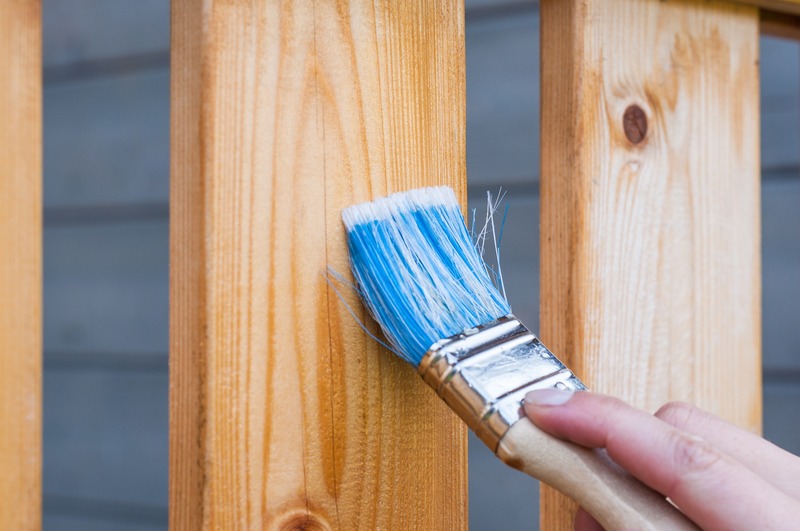 If you were to choose the cedar-coloured decking, for example, would it match the colour of your fencing or would it make your fencing look old and dirty? Think about the style and the colour of your home. If you live in a new home you may want to use ash, silver or slate decking. If you have an older property you may find that a mocha or cedar colour is much better. One important factor to take into consideration is symmetry. When you look at your new decking from your home and from the other end of the garden will it look good? For symmetrical purposes, you may want to think about using composite decking that is a similar colour or the same colour as the flooring in the room or rooms that lead to your garden. Having the same colour will help to eliminate any changes between each of the spaces. This can help your new decking to look more homely in an instant. While you may have only considered using one colour you may want to think about using multiple colours. The more colours you use the greater the contrast you’ll have. What’s more is you can have one colour for the main part of your decking and another for the steps. This can make the steps easier to see while also making all of your decking looks good. But you don’t have to stop at choosing different coloured decking and steps, there are other combinations that you could use. For example, you could create diagonal patterns, alternate patterns and more. One of the great things about composite decking is you can order samples before you make a colour-related decision. When you have the samples in your hand you will have a much better idea about the colours that are more suited to your garden. You may even realise that your favourite colour is not, in fact, the best colour to use. Take your composite decking samples into your garden and see how they match or complement the house and your garden. Don’t forget to lay them flat on the ground and see how good they look from that perspective. With a little help from a few samples, you could end up choosing composite decking that you love. If you would like to choose the right colour composite decking for your garden you will need to consider all of the above options. Making the right decision will mean you’ll have some beautiful composite decking to enjoy for many years to come.